In the past several years, there has been what some might call a resurgence of interest in the films Saludos Amigos and The Three Caballeros. 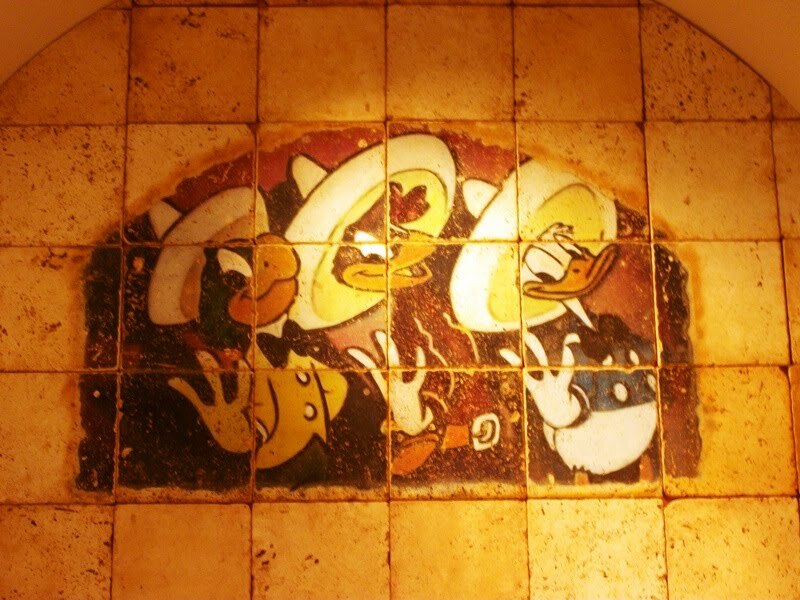 This awareness is due in part to the DVD release of the films for the first time, as well as the inclusion of the Three Caballeros themselves, Donald Duck, Panchito, and José Carioca, in the boat excursion found in World Showcase’s Mexico Pavilion. 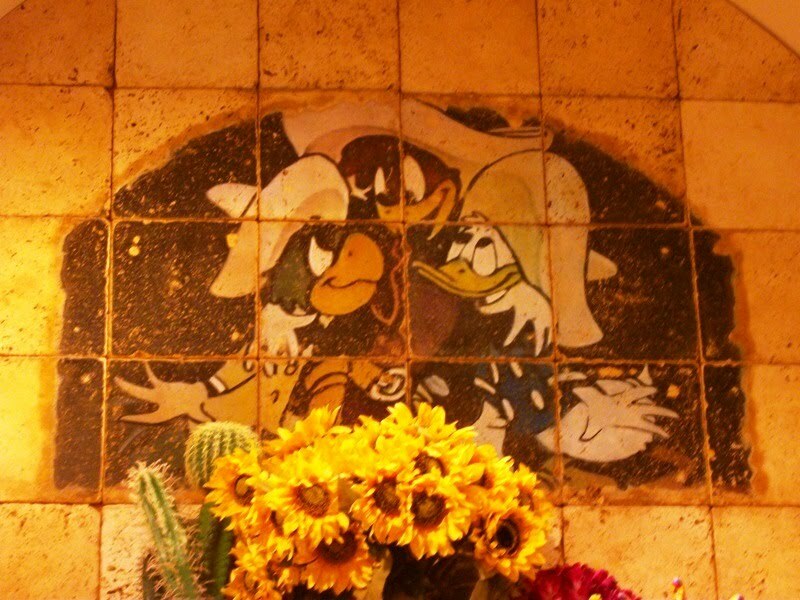 There is one place in Walt Disney World that has been honoring the feather clad friends since 1997, Disney’s Coronado Springs Resort. 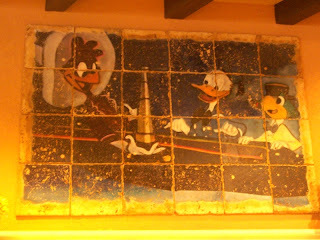 Coronado Springs is a very different type of resort. 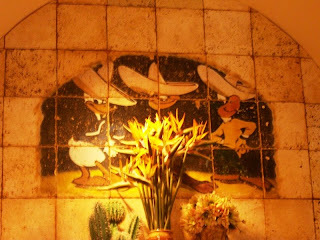 While it falls into the Moderate category, it has a convention center and some very unique dining options, such as the passport to south of the border fare known as the Pepper Market. 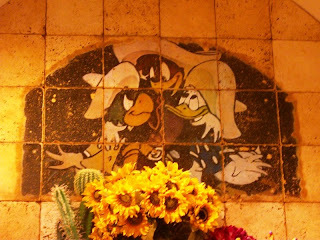 Coronado’s gift and supply shop, however, has always been a salute to the 1944 film, The Three Caballeros. 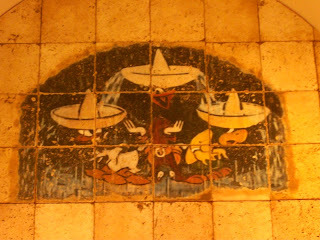 Known as Panchito’s Gift and Sundries, the shop highlights several elements from the film, including a cart being pulled by the winged donkey, Burrito. 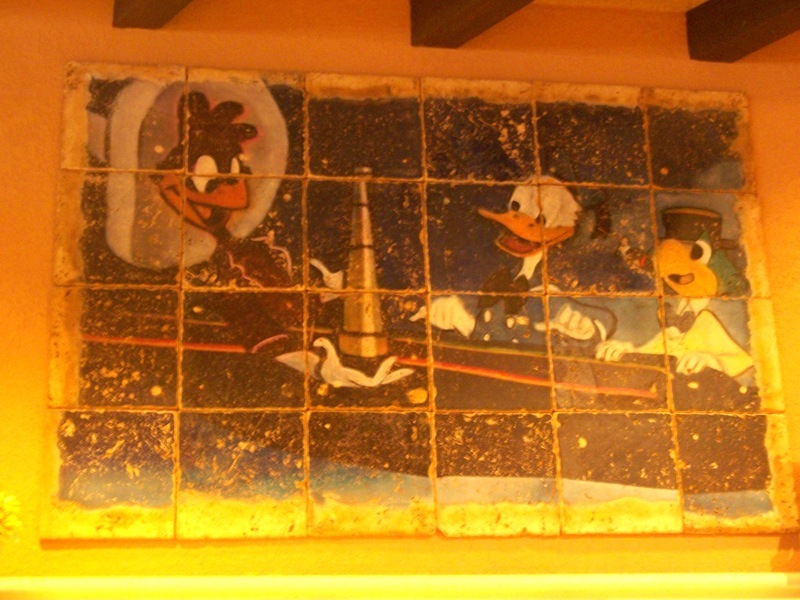 Above the shirts and toy cars, watching over the sunscreen and snacks, is a series of worn panels that depict Donald and his fowl friends belting out lines from their signature song, also identified as The Three Caballeros. A nice tribute to the trio and their vocal stylings.